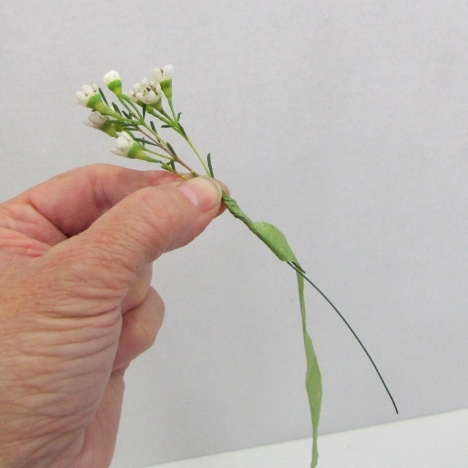 Making boutonnieres is not at all hard and can save a lot of money on your overall flower budget. 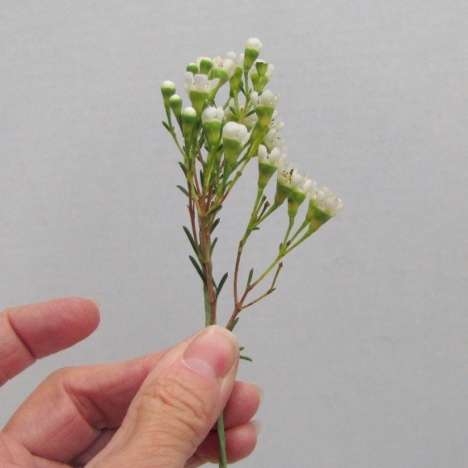 This dainty boutonniere looks like a million bucks, but it really uses inexpensive greens and filler flower! 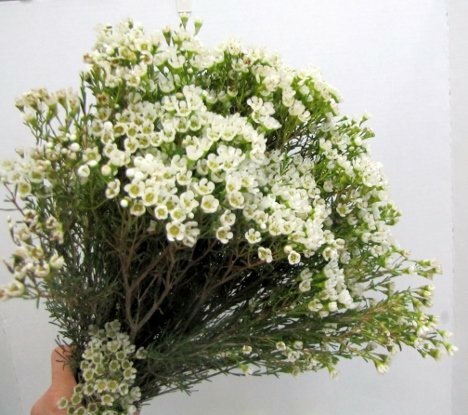 Wax flower is a beautiful filler flower that comes in three colors - pink, white and purple. It can also be tinted by using professional floral tint sheer spray for flowers. Learning how to process your bulk flowers correctly is important if you want your flowers to last and be in good condition for your wedding day. 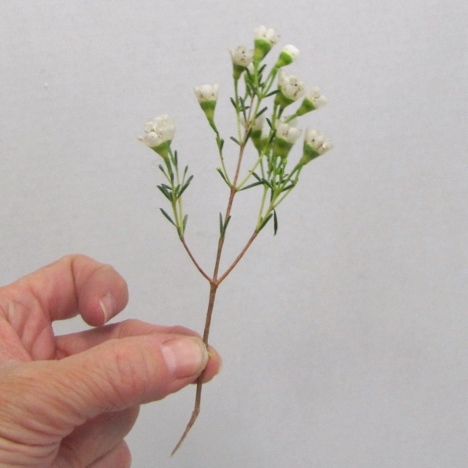 If you wish, you can simply cut off a clump of wax flower and tape some leaves to it. But I like to pay attention to detail - so I take the time to wire individual sprigs. This way I have control and can bend and manipulate the flowers the way I want them to look. A little extra effort goes a long way towards giving your corsages and boutonnieres a professional look. 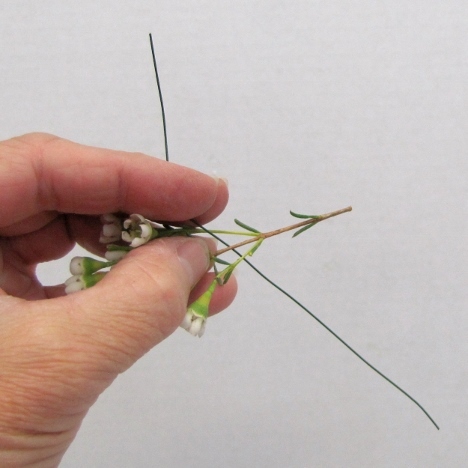 Using 26 gauge florist wire, slide it between the tiny "branches" of the wax flower and bend into a hairpin hook. The wires will bend down straight forming a new, longer stem. 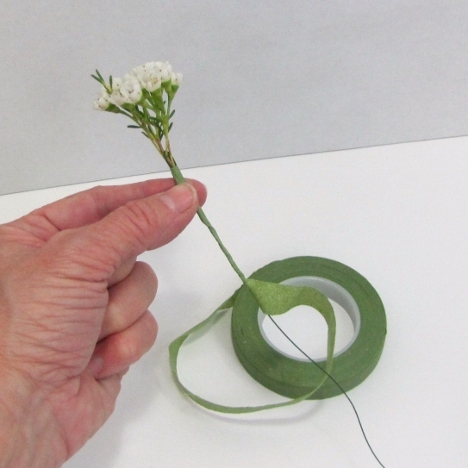 Tape tightly with corsage tape, pulling it taut as you twist it down the stem. It will adhere to itself. Cut off at the bottom with wire cutters - but leave a long enough stem you can work with. Excess can always be cut off later. 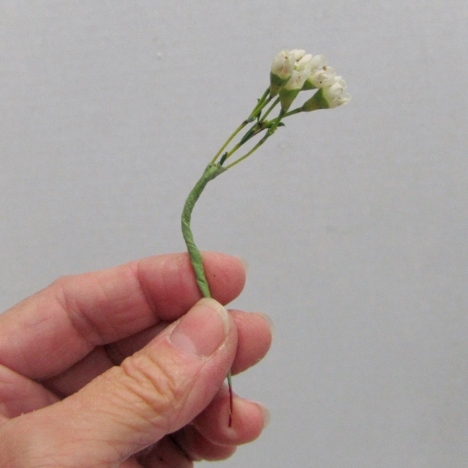 Make up two or three of these smaller wired sections of wax flower. You will be taping them together in the next step. Now that you have several individually wired sections, you are going to bend some outward and tape to the other sections. 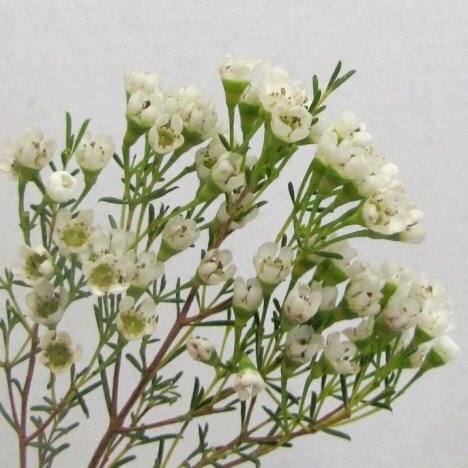 The reason I go to this trouble is I don't want my wax flower to look "clumpy" or bulky. 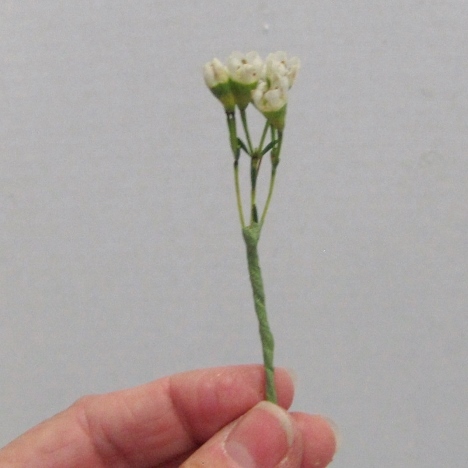 Especially since it is the only flower in this boutonniere!